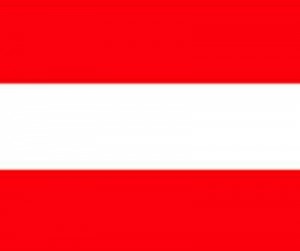 What is Austria red white red card? Austria’s Red White Red card is a new and flexible immigration scheme. It came into effect from 1 July, 2011. The scheme allows for different types of immigration including those to the category of workers with very high qualifications and/but who are citizens of third countries. The other Austria red white red card categories under which a person and/or his/her family can migrate include ‘workers in occupations who are highly skilled provided these occupations are facing a shortage of workers’, ‘other categories of needed workers’, ‘those who have passed out of Austrian universities and colleges of higher education’ and ‘those important types of workers who are self-employed’. In the first category, i.e. of those to the category who possess very high level of qualifications, applicants are first allowed to apply for a visa which is valid for six months to search for a job. But, firstly, they must also meet some definite criteria before they are deemed to be eligible to apply for the visa which allows them to search for a job there. These criteria are in the form of definite and fixed criteria and each of them is linked to a certain number of maximum points based on Austria red white red card points calculator. An applicant receives definite points for criteria which include ‘special qualifications and skills’ (a maximum of 40 points), ‘work experience’ (a maximum of 20 points), ‘language sills’ (a maximum of 10 points), and ‘Studies in Austria’ (a maximum of 10 points.). To be eligible to receive the six-month visa, which allows the prospective Red White Red Card holder to stay in that country and look for a job, an applicant must get a minimum of 70 points based upon the Austria red white red card points calculator based system. Find more details about Austria Red White Red card here.